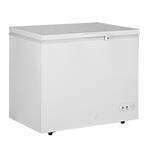 If you’re running a restaurant, catering service or concessions operation and need extra freezing space but don’t have room for a walk-in freezer, a commercial chest freezer is a sound investment. 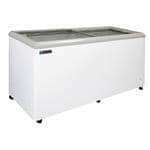 Free-standing freezers are also a popular option for restaurants and food service businesses that want to provide customers with a convenient place to grab frozen foods and ice cream quickly. 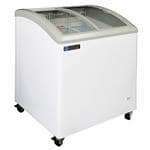 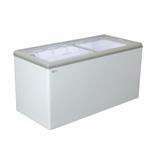 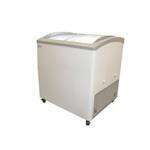 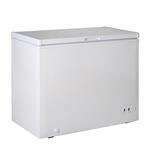 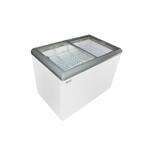 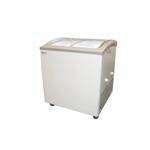 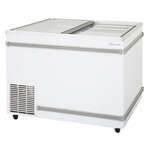 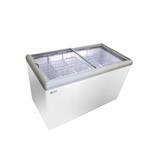 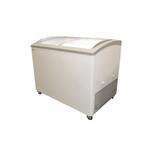 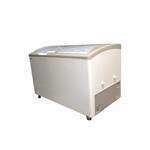 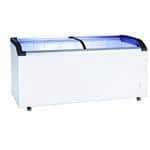 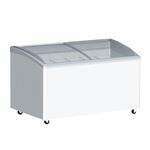 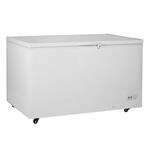 CKitchen.com always offers the guaranteed lowest prices on commercial chest freezers by industry leaders like Excellence and Master-Bilt, and you can count on free shipping and top-notch customer service to ensure that you’re always pleased with your experience here. 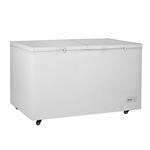 Commercial freezers come in sizes and volumes for any environment, and are especially popular for storing frozen foods in restaurants, bars, supermarkets and commercial kitchens. 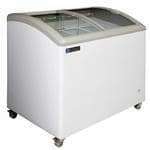 We have an expansive selection of commercial ice cream freezers ranging from small options for your supermarket, gas station or convenience store to large styles that can accommodate enough product for a full-service ice cream shop or grocery store. 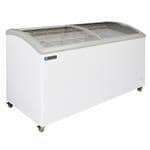 Most of these freezers are equipped with see-through, sliding glass lids that help customers and employees easily identify what’s inside. 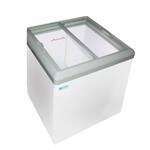 These lids also help ensure greater energy savings by keeping the cool air inside. 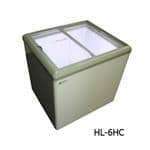 Many of these freezers are equipped with dividers for multiple types of foods as well as bright LED lights for easy access at night or in low-lit conditions. 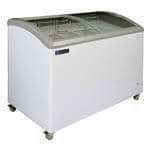 Most also feature wheels so that you can move them around the floor or kitchen relatively easily and optimize placement for more sales and greater efficiency in the kitchen. 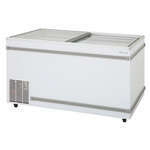 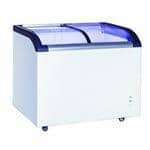 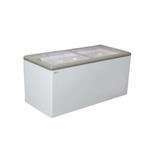 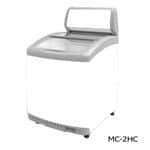 Whether you’re looking for an affordable chest freezer on sale or something high-tech and eco-friendly for your large-volume operation, you’ll find it at CKitchen.com. 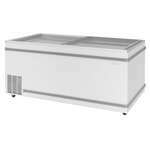 We’re an authorized retailer of top commercial freezer brands, so you can always trust us to help you find a style that’s tailor-made to your business needs.